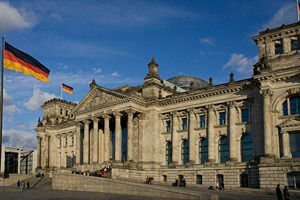 Berlin is not only the administrative capital of Germany but, is also the "moral" historic center of the country. Berlin has kept alive the dramatic history and story of the whole country, especially with the iron curtain symbolizing the Berlin Wall. However, Berlin is the world capital of music, cinema, art and fashion. The German capital Berlin is located in one of the 16 provinces of Germany, covering part of the northeast of the country. The population and area of Berlin was "crowned" the biggest city in the state and second in population in the European Union after the British capital London. After the reunification of East and West Germany which was marked by the fall of the Berlin Wall in 1989, on October 3rd 1990, the town got its status as capital of all Germany. For Berlin is first mentioned in the historical texts in the 13th century. Further it gives the history of Berlin and gives information that is was the capital of Prussia after 1701, Empire of Germany from 1871 to 1918, the Weimar Republic from 1919 to 1932 and the Third Reich during the period between 1933 to 1945 onwards. After World War II the town was divided. East Berlin became the capital of East Germany while West Berlin remained in the territory of West Germany, surrounded by the Berlin wall (1961 to 1989). The unquestionable symbol of Berlin and in general the whole of Germany is the Brandenburg Gate. This magnificent monument now stands as a symbol of the reunification of the two sides of this great city. Brandenburg Gate was once called the gate of the world. This symbol of Berlin was built between 1789 - 1791, the project architect was Carl Langans, which decided to raise its creation in the style of classicism. The facade, decoration and arrangement were made by Johann Shadov who also designed a 6 foot quadriga operated by the Roman goddess of, Victory Victoria as a form of a triumphal crown. During the Berlin battle at the end of World War II in Europe, the Brandenburg Gate was seriously damaged, then the arch was fully restored in 1956, with a triumphal quadriga crown in 1958. Berlin has many great architectural monuments dating from different periods. Particularly interesting is the building of the Reichstag. Especially for visitors here is built the glass dome of the meeting room, which allows people to watch the debates. In the headquarters of Germany, the Chancellor Bundeskantslerman is an interesting modern building, which marks the "new beginning" of Berlin. Quite interesting is the building of the nomination, Palace Schloss Charlottenburg. Berlin, holds a record number of museums and galleries. More than 170 small and large spaces and buildings of old works and maldi artists, painters and sculptures impress tourists in the town and give the Berlin cultural center of the halo. Among the most impressive galleries and museums is the "Pergamon Museum", which is amazing with its Greek architecture, in which the market can see the gates of the ancient Greek city of Miletus. Here is the impressive set and Ara Zves of Pergamum, which is one of the most significant monuments of Hellenism. You also can not miss the popular Alexanderplatz in Berlin, one of the most famous and popular squares in Berlin. Situated in the city center and most recently reconstructed in 1960, Alexanderplatz is named in honor of King Alexander I who visited Berlin in 1805. 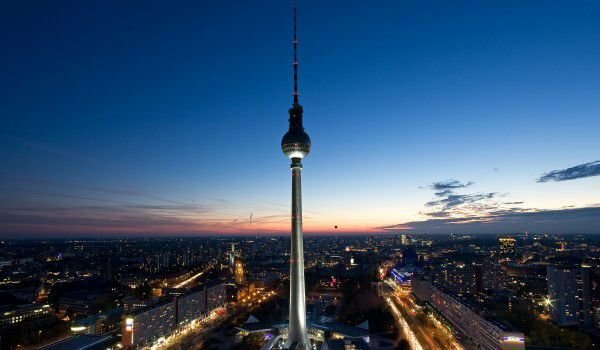 Here you can see famous buildings such as the television tower which stands 365 meters high which makes it the highest in the European Union. Interesting are also the building of the Forum Hotel Berlin, a world clock and fountain of the Friendship of Nations. Modern Berlin is famous as a world musical capital. Night life does not stop there, as the club scenes in the city always put one of the biggest names in the world of the DJ scene. As another note, Berlin hosts the largest Gay Parade event in Europe on Christopher Street Day. Berlin is also known for its music festivals and Pop Mayfest. One of the impressive sights in Berlin is the Berlin Cathedral, also called Berliner Dom, which is located in the western part of the city and definitely worth visiting!